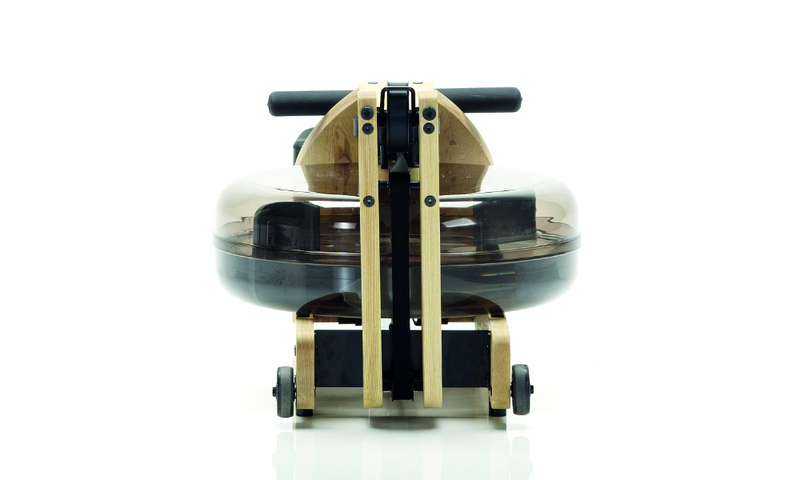 The WaterRower A1 Home is handcrafted in premium Ash hardwood with a sleek aluminium monorail. 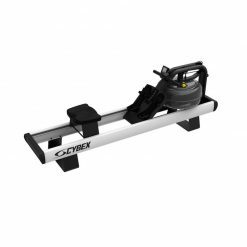 Originally designed for use in commercial fitness studios; the WaterRower A1 Home differs from the rest of the WaterRower range in that it has an aluminium mono-rail supporting the seat. This means that the A1 Home has a slightly smaller in-use footprint than other WaterRowers, however the trade off for this is that the seat action is not as smooth and stable as it is on a dual rail WaterRower. 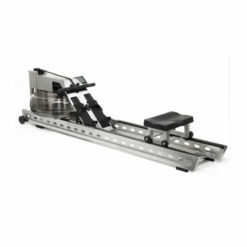 The entry level machine in the WaterRower range, the A1 Home is built to the exacting standards long associated with the WaterRower brand. Each machine is left unstained and has been hand finished in Danish Oil to provide a deep luster and warmth to the wood. For reasons of ecology, all our woods are harvested from replenishable forests. 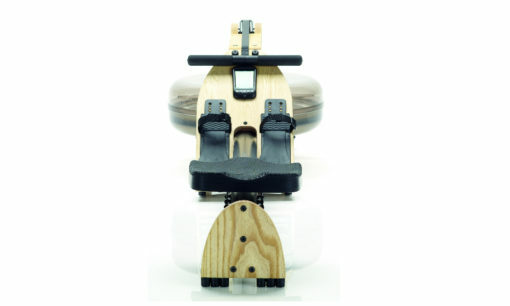 The WaterRower A1 is an entry-level model with a unique mono-rail and a simplified monitor. It is designed to be lightweight, easy to move and can be stored away with ease. 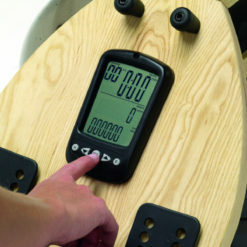 In fact, the A1 indoor rowing machines can be stored vertically using up very little space. This beautifully crafted rowing machine is designed to be a show-stopping piece, crafted from solid ash wood with an aluminium monorail. 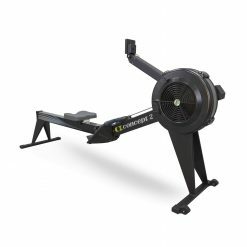 It is fitted with an A1 monitor, a simpler version of the WaterRower’s S4 monitor, providing an easy ‘quick start’ for most functions. Unlike the S4 Monitor however, there is no Heart Rate monitor, PC interface, Zone Workout, or Interval Training. 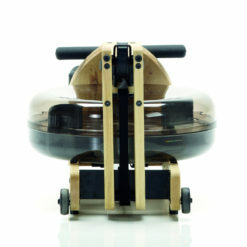 As with all WaterRowers, the water inside the flywheel creates natural resistance against the rower, therefore the harder the user works the greater the resistance. 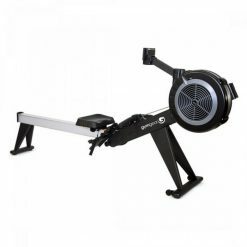 This is a great low impact high-intensity cardio workout that has made rowing an incredibly popular sport, on and off water. With the A1, even beginners will develop a good technique with WaterRower’s smart design. 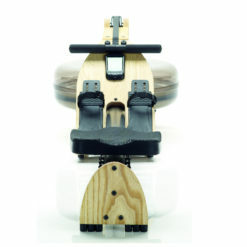 WaterRower source their wood from sustainable forests and all wood is chosen for its quality and durability. Indulge in their stylish Ash wood and aluminium design. Rowing machines are rumoured to burn 10-15% more calories than cycling or running! Effective as both a strength and cardio based workout. The aerobic exercise boasts great cardiovascular benefits and is also gentle on the joints. 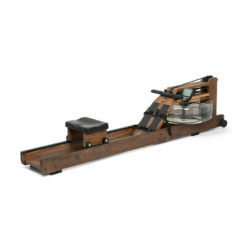 With rowing machines you get a full body workout, training all major muscle groups. It is also improves flexibility, stamina and endurance. 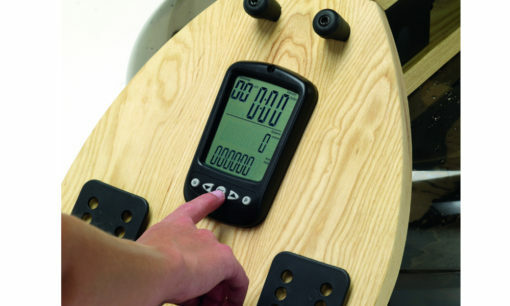 Ensure an efficient and well-rounded workout with the WaterRower A1. 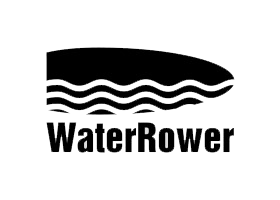 Enjoy a lifetime supply of water purification tablets, a membership to an online rowing community – WeRow. A USB connection cable for downloading exercise data, a syphon pump for filling and changing water and a bottle of Danish Wood Oil, with an application cloth to keep your rower looking as good as new!